​Philippa Thornton is a registered psychologist, MAPS, relationships expert, Advanced Clinical RT therapist and RT Trainer. Philippa is also the Vice President of Resource Therapy International and the founding Director of NSW based, Resource Therapy Institute. 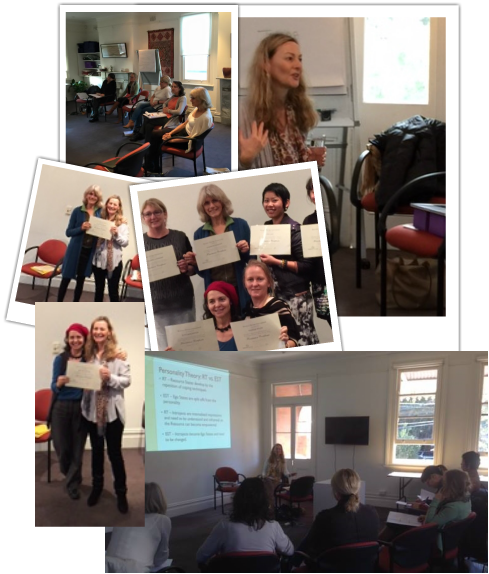 Philippa is available for Training, Speaking engagements, Supervision, and Clinical Consultations. You love Resource Therapy, and it is easy to understand why, with its clear and logical steps to healing for your clients. Using RT is incredibly rewarding and we want you to take it to another level. Where you learn to apply Resource Therapy’s powerful methods for change in couple counselling. Excited? So are we! We want you to be able to help many more people by adding relationship therapy skills when using Resource Therapy in relationship consultations. I know this can be daunting. Boy do I remember doing my RT training with Gordon Emmerson years ago and not feeling confident in applying it in couple work in my psychotherapy practice – Marriage Works, http://marriageworks.com.au. Yes, you read correctly. Here I was a trained couple therapist with a postgraduate diploma in Couple Therapy (and it cost me thousands!). Once I had lots of practice with RT, I then applied it to my couple work using Gordon’s protocol. I found I was having more success with the couples consulting me. It’s wonderful in private practice for keeping a steady stream of clients and easily applicable to any health care setting. Using RT with twosomes means you can double the therapeutic outcome. And isn’t that why we signed up for the helping profession? Working with many partnerships over the years, we have identified common issues encountered in using this model with couples. This means we can offer you the benefit of our field proven know-how with practical methods to overcome these obstacles effectively. Naturally you have completed the 10-day Clinical training, which has given you the basis to quickly progress to couple work. So come join us in Ubud, Chris and I would love to meet you. Learn the application of Resource Therapy Protocols and Principles in Couple Counselling. -Use the RT protocol, as devised by Professor Gordon Emerson, for couple counselling, to assist clients with relationship issues. -Effectively apply RT actions in couple sessions, to facilitate relationship repair. --Harmoniously blend communication skills and RT actions for best client outcomes. -Use individual RT work with each partner, balanced with couple work, for optimal therapeutic results. We will bring couple work alive with client case material with our experience (50 plus years between Chris and I) in what works and what doesn’t. As you know RT works with most clients presenting issues. You do not need any couple therapy training – just a willingness to multiply your capacity for therapy. This cutting edge workshop run by the Resource Therapy Institute of Australia will be presented by Chris Paulin (Consultant Psychologist) & Philipa Thornton (Relationship Psychologist). More details can be found on our website www.resourcetherapy.com.au.